You can keep your calculator turned off when you need to perform math functions in MicroStation. 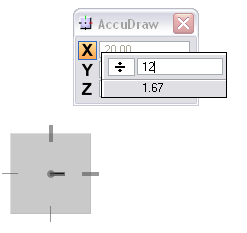 Using the popup calculator math functions +, – , *, / , = that are available with AccuDraw you are able to make simple calculations with any drawing or modification tool that utilizes AccuDraw. Start by placing a 20’ line with AccuDraw in the X-field. Hit the forward slash “/” key on your keyboard. Be sure your dialog focus is in the AccuDraw dialog for this to work. In the calculator key-in field type 12. Notice the updated results in the popup calculator and the dynamic change in the line length. Hit the Enter key on your keyboard to accept the result. 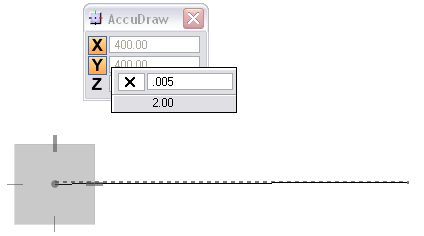 The popup calculator will close with the result in the AccuDraw X-field.